We are cold here in New York. I wish we were back to the warm days of Summer already and it is only November! 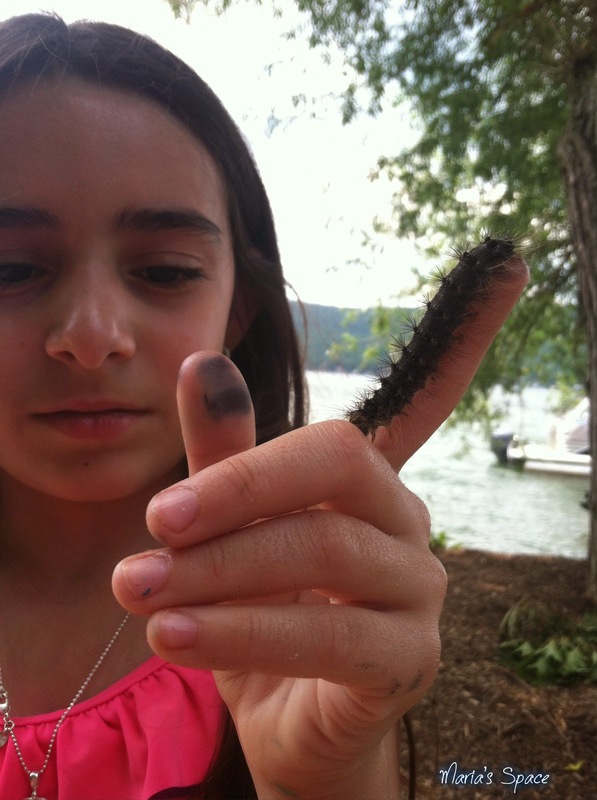 My girl found this huge caterpillar which was the size of her finger. I wish I could have taken a photo of its feet. There were massive and you could feel each one moving. 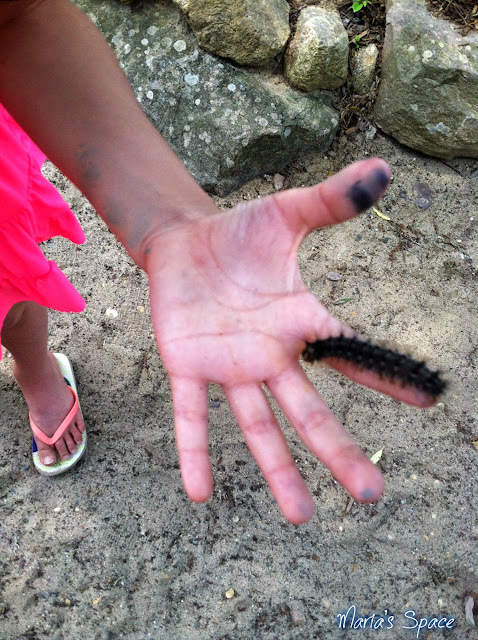 Neat shot of the caterpillar and cute children! My! It's a big caterpillar.